Here are two faces. Each of them offers you a service. Which face would you trust? If you said the right face, then you are with the majority. 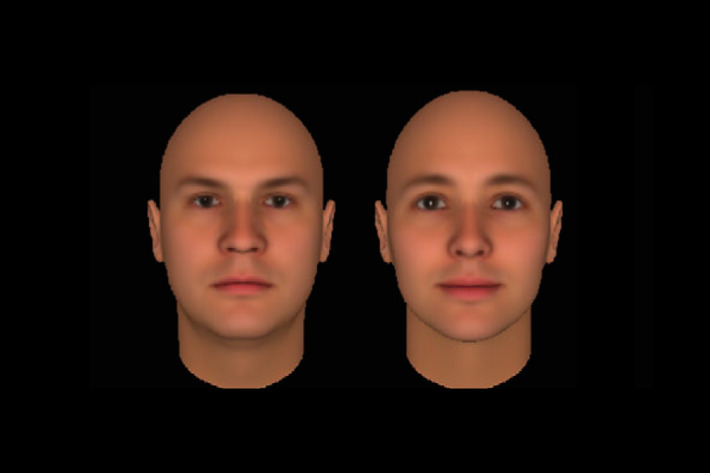 Most people, across cultures, considers the right face to be more trustworthy. The right face has wide-set eyes, arched eyebrows and more effeminate features that make it appear more trustworthy. Alternatively, the left face has a more masculine, almost angry-looking resting demeanour. What does this go to show? That people base their trust on superficial qualities. Maybe the guy on the right is a serial felon and the guy on the left is a nursing home carer. Who knows. In most cases, all we have got to base things on is visual first impressions. Imagine a similar situation, except now there are two websites offering a service. The first website has garish colours, is cluttered with ads for online gambling, and is written in poor English. Versus, the second website which has a modern design, well-written content and professional images. … This one really is a no-brainer. You would rather buy from the second website, even though you really don’t have any solid info on whether either of them is trustworthy. In actual fact, there are numerous scam sites that we know of, and they all use modern website templates so they look just as good as legitimate business websites. Some of them use websites that look exactly the same as legitimate websites. But the ultimate case-in-point is the ordering page for Blair’s Sauces and Snacks Australia which looks 100% dodgy as hell. This is absolutely the most backwards, most frustrating form I have ever filled out to buy something online. But you better believe that the sauces are legitimate! They will burn your tongue to a crisp. So this is a problem right? How can you make people feel a sense of security and trust online when it’s all smoke and mirrors? We can see that there is a general atmosphere of distrust that pervades the web, and this creates a huge market for websites that can be trusted. In situations like these, when the average person can’t tell what’s real from what’s fake, you need some kind of overarching scheme that checkmarks the websites that can be trusted. Thankfully, something like this exists. It’s called HTTPS, and Google is the leading proponent of this technology. Essentially, HTTPS is a system that encrypts all the data that goes to and from the web browser that you are using. This means that the entire website is encrypted, and can’t be intercepted by hackers and scammers. HTTPS is the holy grail for online purchases, and if your website has any kind of payment system, then it is an absolute must. It prevents hackers from intercepting the payment and stealing it in some way, or intercepting the webpage and displaying a ‘fake’ webpage. But most small business websites don’t handle payments, and they aren’t susceptible to hacking. Most people don’t really know the technicalities of what HTTPS is. But they do know that it’s secure, it’s modern and it’s impressive. All major web browsers have developed visual indicators that show when a site uses HTTPS. Internet Explorer turns the address bar green, and Firefox and Chrome have green badges with a ‘lock’ icon on their address bars. These indicators only show on pages that use HTTPS, and they make the page look authoritative, secure and official. So it could be said that the way that HTTPS is used on most sites is fairly superficial. But nevertheless, Google is pushing to get the entire web to use HTTPS and you should always go along with what Google wants you to do. 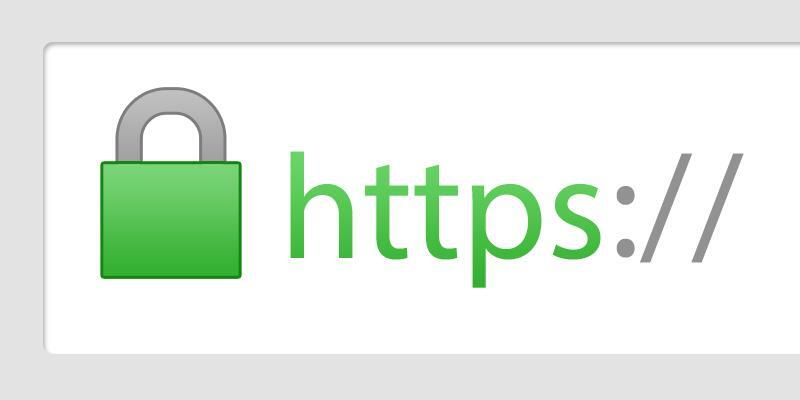 Google is already rewarding us for using HTTPS by making Google Chrome display HTTPS sites with a large green ‘lock’ badge that your website can wear like a badge of honour. It will be a large green tick of approval for all your potential customers to see. So our advice for all sites big or small: get HTTPS! It can be cheap, and while it does require some setup, it doesn’t require you to change the appearance of your site. Or an even easier way to get HTTPS is to get a site that has HTTPS as a core feature. Our Jetsite uses HTTPS because it’s a website that has been completely optimised towards being a perfect site for small businesses. It is extremely impressive for potential customers, and yet very affordable for a business of any size. You can see our Jetsite package here.